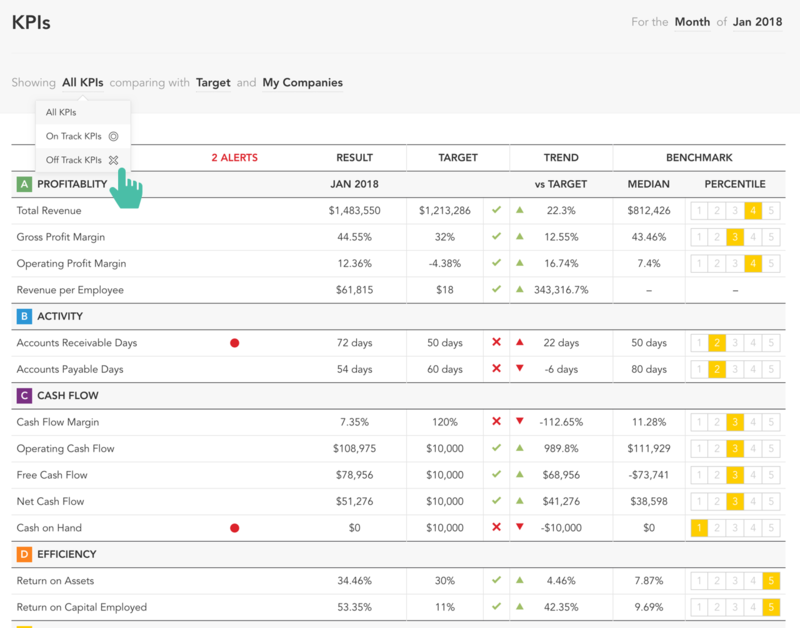 This tool shows a summary of the results for each of your selected KPIs (both financial and non-financial). The KPIs shown here are selected in ‘Step 4 - KPIs’ in the setup process. 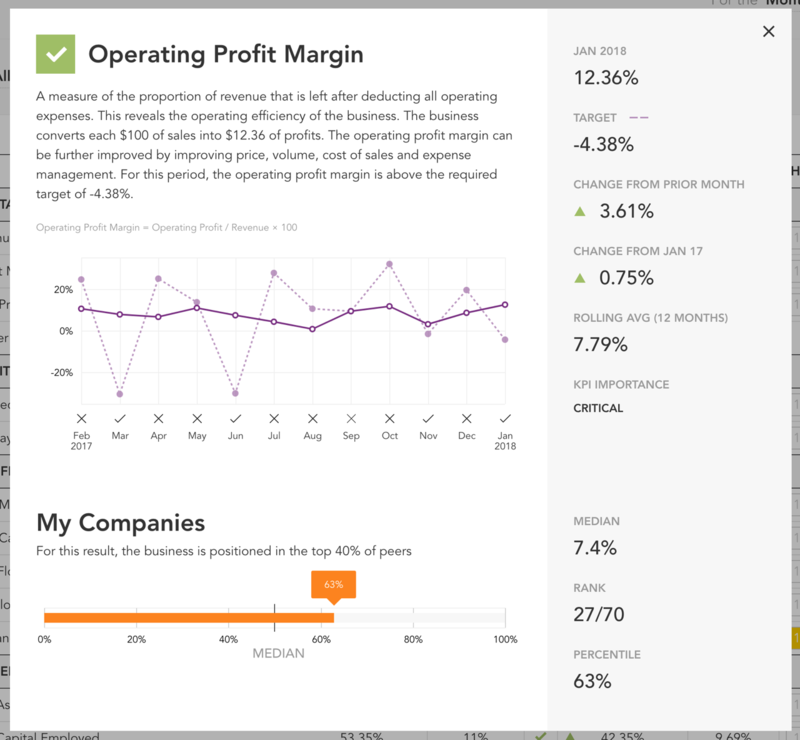 You can choose to view results for any month, quarter, or year, by using the period selector in the top right. You can also view results for quarter-to-date (QTD) or year-to-date (YTD) periods, and select the ending month for these periods. You can filter the analysis to focus on 'off track' or 'on track' KPIs. KPIs can be compared against target, prior period results, or same period last year. A red alert symbol will indicate if a KPI has hit an alert threshold (defined in 'Step 6 - Alerts' of the company setup). If the company is part of a benchmark group, then the median result for this metric will be displayed along with the percentile in which the company sits. If a company is not part of a benchmark group, then the KPIs level of importance will show in this column. To find out more detail about a KPI, simply click on the KPI. Additional information will populate, including commentary about the KPI, an explanation of how the KPI is calculated, a summary trend chart, and other key numbers.